When you think of pediatric nurses, you think of ear infections, broken bones, pink eye and colds. But for a certain set of pediatric nurses, the focus is a lot different – and that’s because they know their patients aren’t going to get better. Pediatric hospice nurses are the people you turn to when your child is diagnosed with a terminal illness and a cure is no longer an option. While the reality is a tragic one, it is one that many families must face. Pediatric hospice nurses are there to help families navigate end-of-life symptoms, keep the patient and family comfortable and supported, and provide a continuum of care that does not need to involve hospitals. Regional Hospice and Palliative Care of Danbury, CT is known state-wide for its pediatric hospice services. As with traditional hospice, care is provided wherever the patients reside. Most frequently, this is in the comfort of their own homes, but it can also be provided at Regional Hospice and Palliative Care’s Center for Comfort Care and Healing, an in-patient hospice unit in Danbury, CT. At home, nurses visit the patients weekly – or more – to offer nursing visits, symptom management, medication adjustments, durable medical equipment, and support. They also act a conduit to the other medical services offered under the hospice benefit including home health aides to help with personal care needs of the child, social work, spiritual care and trained hospice volunteers who provide support to the patients and their families. These care needs are so important, especially when a patient does not have a large support network nearby. Nurse Chris Mastropietro started Regional Hospice and Palliative Care’s pediatric and perinatal hospice programs many years ago. As the first certified pediatric hospice nurse in the state of Connecticut, she has spent the past thirteen years honing her craft. Chris understands that working with pediatric hospice patients is a specialized skill, and one that she is eager to pass on. Earlier this year, Chris saw something special in Regional Hospice nurse David Marcus and began training him to help take on a new role in “ped”s. 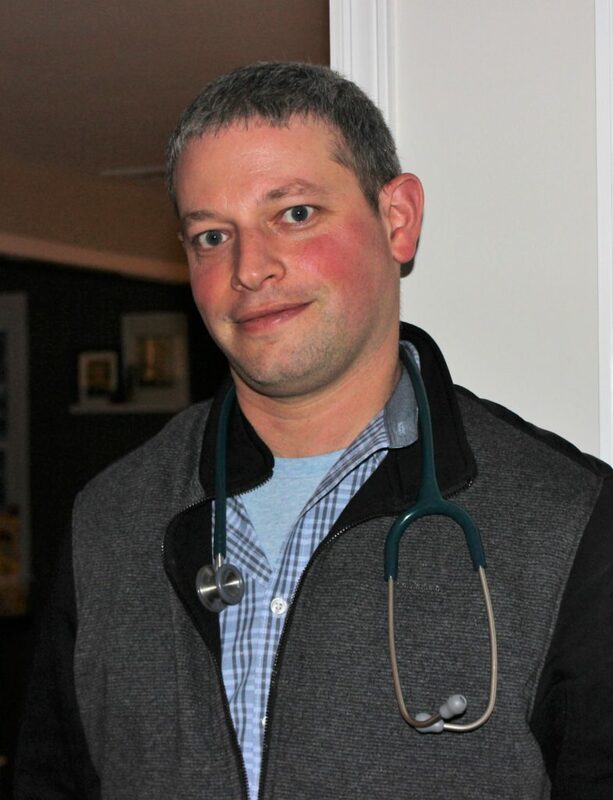 David, a 39-year-old Fairfield resident, who pursued nursing after a 9-year stint as an earth and space science teacher, was uniquely qualified to work with pediatric patients and their families. For the past six months, David has worked under the tutelage of Chris, learning the intricacies of working with pediatric patients and their families – or as he simply describes it – working with kids. David has found it rewarding working with families and seeing how they cope in these situations. He sees his role as a guide to help families get through the most difficult times in their lives. Regional Hospice Pediatric Nurse David Marcus checks 6-year-old Jackson Bankers’ lungs, as mom, Sara, looks on. One of these families is the Bankers family of Stamford. 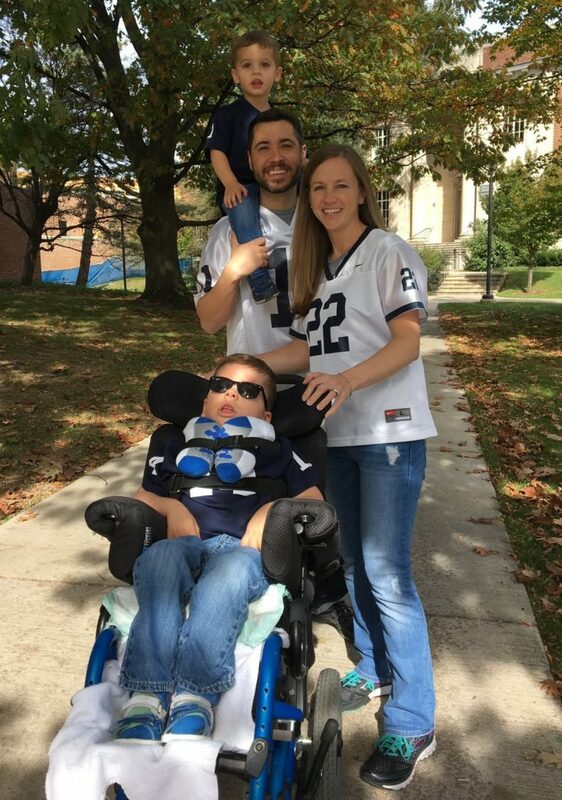 Sara and Jeff Bankers’ son Jackson (“Jack”) was diagnosed with the rare genetic disorder, Infantile Neuroaxonal Dystrophy (INAD), when he was nearly two years old. 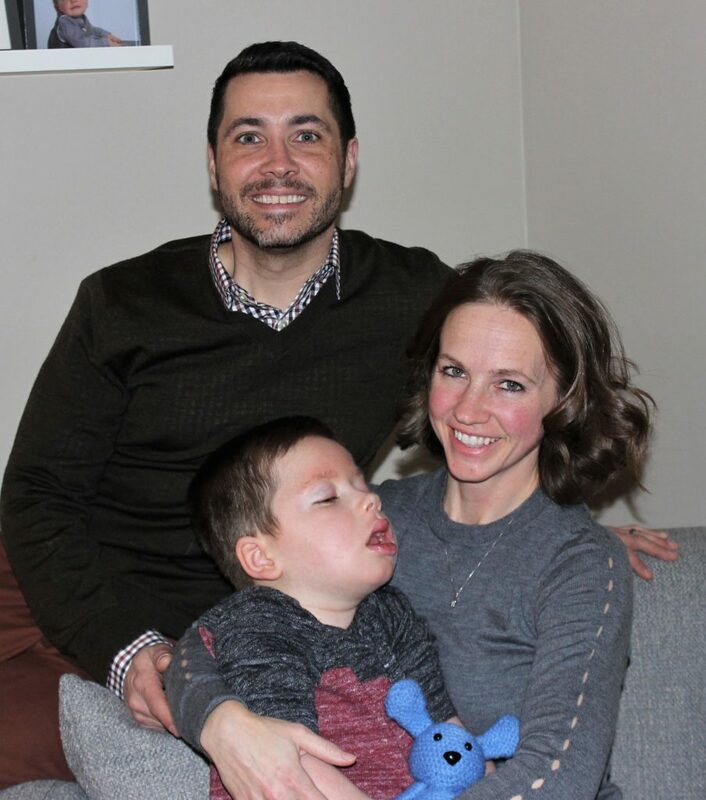 While Jack was born a very typical baby, his parents started noticing developmental delays by the time he reached one year. They enrolled him in early intervention, physical therapy, and occupational therapy to help him catch up to other children his age. By 18 months old, Jack was so far developmentally behind his classmates at daycare, the daycare asked him to leave. 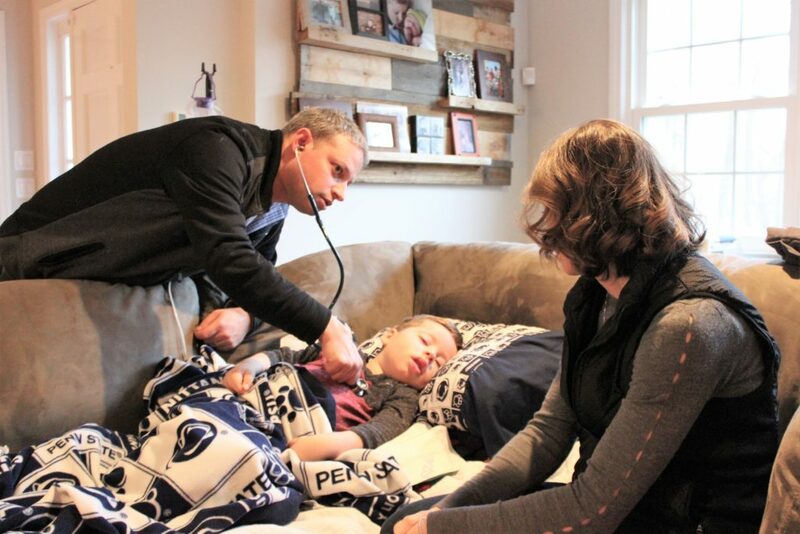 While initially outraged, this action sparked Sara and Jeff to seek out specialists, who eventually diagnosed Jackson and gave him a life expectancy of 6-10 years. For most people, learning that your 2-year-old child has a life expectancy of 6-10 years, as Sara and Jeff were told, would be a tragedy. But for Sara and Jeff, who had seen Jack experiencing a precipitous decline in the past year and a half, this was a relief. They had feared the prognosis would be much worse. For them, this knowledge gave them a whole new perspective on his care. Understanding that Jack would need a gastronomy tube (also called a “G-tube”) to ensure he was getting the proper nutrients, Sara and Jeff no longer had to worry about obsessing over what nutrient-dense foods they were giving him. Instead, they indulged, letting him ENJOY the foods he ate for the first time in a long time, offering him “Ho-Hos” and Coke, while he was still able to eat and drink. When their jobs relocated the family from Arizona to Connecticut, they had no support system. 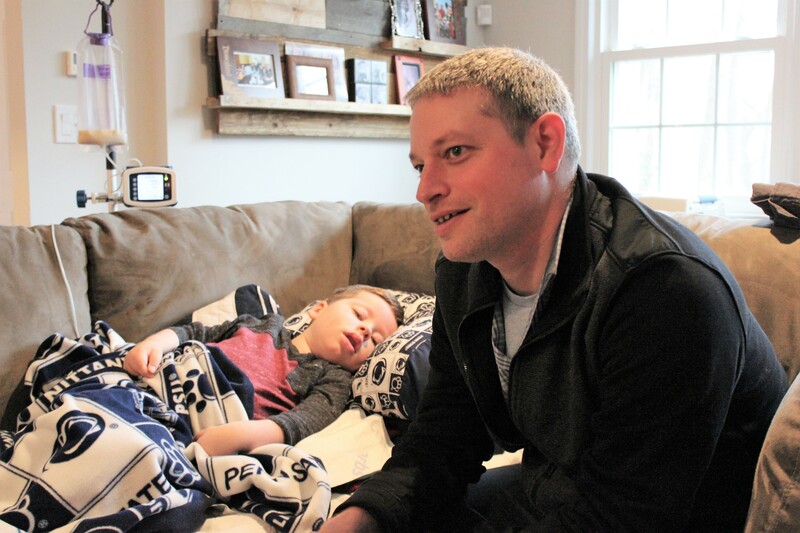 In Arizona, they had a palliative care pediatrician who helped manage Jackson’s complicated medical needs, but they were surprised to learn that palliative care pediatricians were a rarity. Instead, their pediatrician suggested the family consider hospice. Like many others, the idea of hospice carried a stigma for the Bankers family. With few options, the Bankers family took a leap. In the comfort of their living room, in the dim light of the fireplace, Jackson lays on the couch in his “nest” of blankets and pillows. Sara strokes his head, while Jeff sits near his feet, ribbing Sara about the Penn State blankets she chose to tuck Jack in with. (Jeff, a Minnesota man, would much rather see Jack adorned in Minnesota’s St. John’s University apparel.) They reflect on their decision to put Jack on hospice. Sara looks up earnestly, through tears, and says that what hospice has done for them has “allowed us to enjoy life.” Jeff agrees: “hospice has given us time. Freedom.” Above all, the Bankers agree, hospice has given them CONSISTENCY. For their family, not having a revolving door of medical staff who they constantly must re-explain his condition to, provides them with much emotional relief. Knowing that the hospice team is just “a phone call away” has been the best thing for Jack – and his family. As Sara says, solemnly, hospice is “personalized care for my greatest and most precious baggage.” Jeff looks up at her and agrees. “That was good. Write that down,” he says. They truly feel that their hospice team is a whole community. In addition to their wonderful nurses Chris and David, they have a wonderful CNA, Karolina, who comes weekly to help them bathe Jack. While Sara and Jeff enjoy bathing him the other nights of the week, they are so grateful to have one night a week where someone else can do it for them. Their nurse, David, teases them gently – you know we could do more nights a week, if it’s helpful. They laugh, but admit they aren’t ready to accept more help. Also important to Sara and Jeff, is the ability to travel. They love taking family trips together and don’t want Jack’s condition to hold them back. 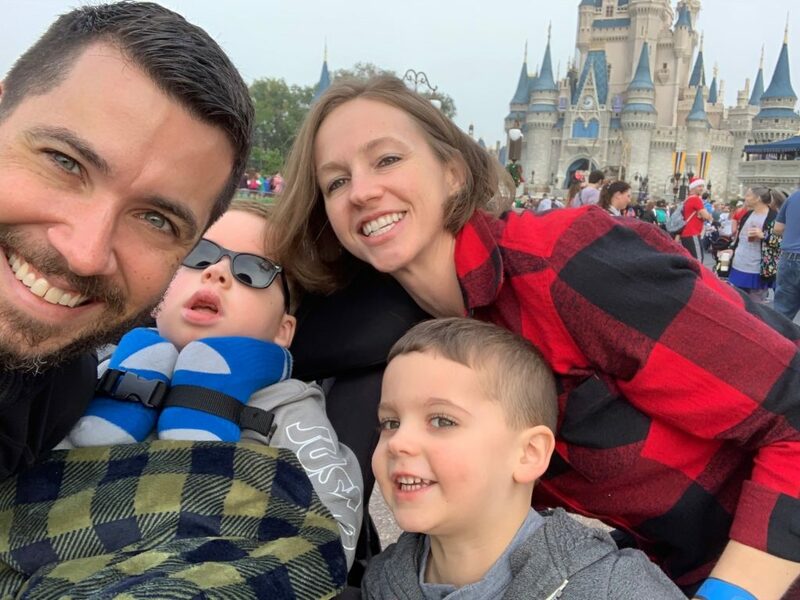 They also want their three-year-old son, Riley, to form vacation memories with Jack; they don’t want to leave him behind. Now that they are receiving hospice care, they feel empowered to travel again. Regional Hospice works to find another hospice agency to contract with while they travel in case an emergency arises. It means there is a continuity of care there that wouldn’t have existed if they needed to be admitted to any old hospital. Plus, it means LESS hospital visits for the family, which is important to them. Back in October, the family experienced a scare. For Jack and other kids with his condition, pneumonia is their biggest worry. Jack contracted pneumonia and wasn’t doing well. The pair called nurse Chris, who immediately made a visit. Jack had gone through two rounds of antibiotics and didn’t seem to be getting better. With Jack’s doctor on the phone, Chris explained all their options. She left them in the comfort of their own home – NOT a hospital – to digest the information and decide what they want to do. Though it was a tremendously difficult time, having Chris and the hospice team “just a phone call away” made the whole process more bearable. Jack, amazingly, pulled through, though they know the specter of pneumonia will always be around them. Knowing how precious Jack’s time is, their hospice team worked with the Marty Lyons Foundation to coordinate another “Make a Wish” trip to take Jack to Disney; this time with brother Riley old enough to remember it. Less than two months after their scare, they were on their way to Orlando, to make more memories as a family.